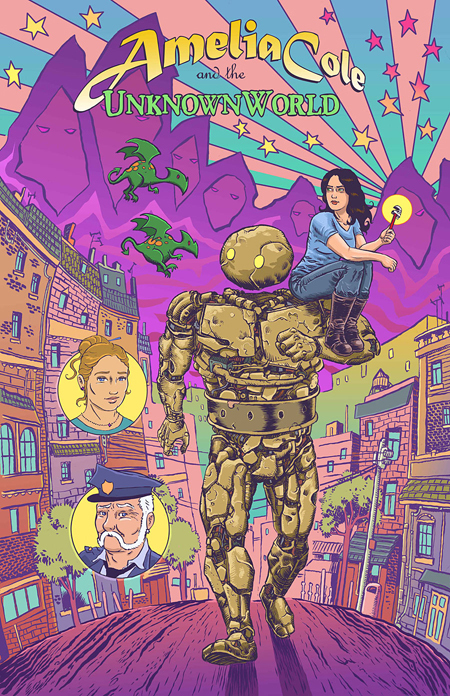 AMELIA COLE AND THE UNKNOWN WORLD #4 out now! Posted on October 31, 2012 by D.J. 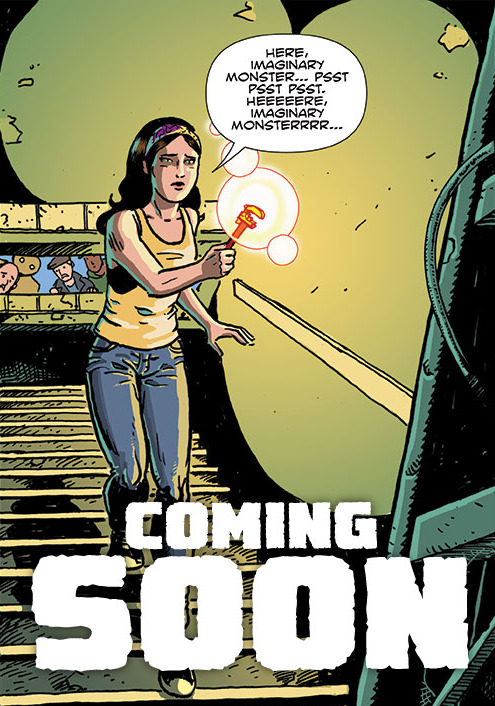 Click on the cover pic below to get AMELIA COLE AND THE UNKNOWN WORLD #4 from ComiXology! Also, our publisher, Monkeybrain Comics, is donating all of their profits for the month of November to Hero Initiative, a not-for-profit that helps comic book creators in need. Good comics helping a good cause! So, if you want to wait until tomorrow to buy the issue, I won’t blame you in the slightest. I’m going to snag some Monkeybrain comics tomorrow, too… Just don’t forget! AMELIA COLE issue 4 teasers! Posted on October 17, 2012 by D.J. The esteemed Adam P. Knave has whipped up a couple of teasers utilizing Nick Brokenshire‘s tremendous art and Rachel Deering‘s stupendous lettering from AMELIA COLE AND THE UNKNOWN WORLD issue 4… COMING SOON! If you haven’t done so yet, buy issues 1 – 3 in preparation for issue 4 HERE.